The DPU 100-70 unit is designed for pure functionality, with its fast forward and reverse travel speeds making manoeuvrability easy. 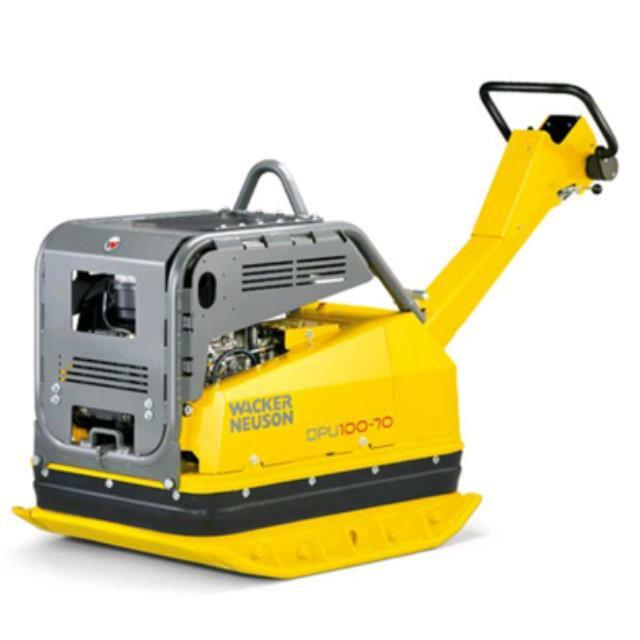 Suitable for compaction of building backfill, and sub-bases when constructing roads, paths and parking lots. It is optimally suited for all types of soils, including semi-cohesive soils, in trench, house pad and surface compaction application. * Please call us for any questions on our compactor plate extra large fwd/rvs 700kg hire & rentals, serving Perth & Western Australia.